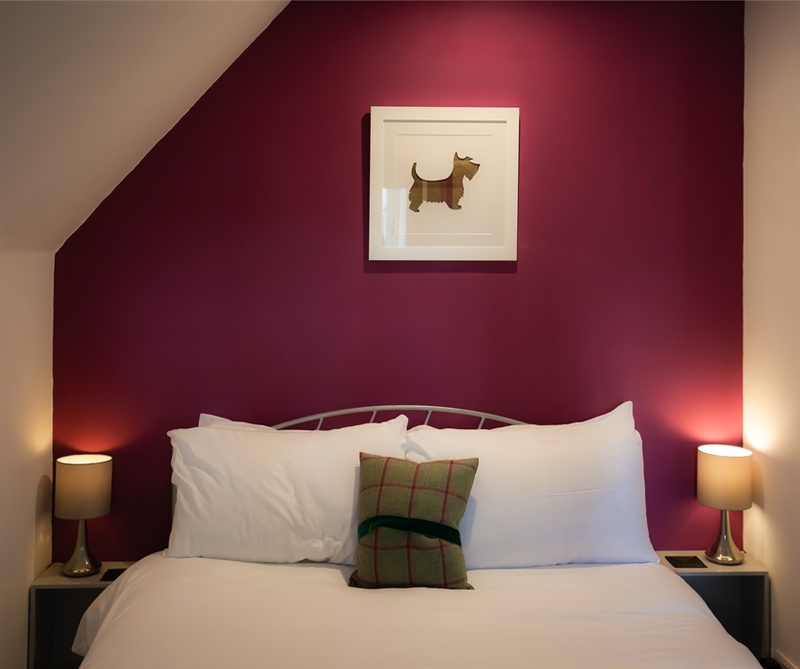 Dog-friendly holiday accommodation in an historic building for up to 5 adults. Located close to a beautiful beach on the Fife coast, handy for Edinburgh, St. Andrews and beyond. 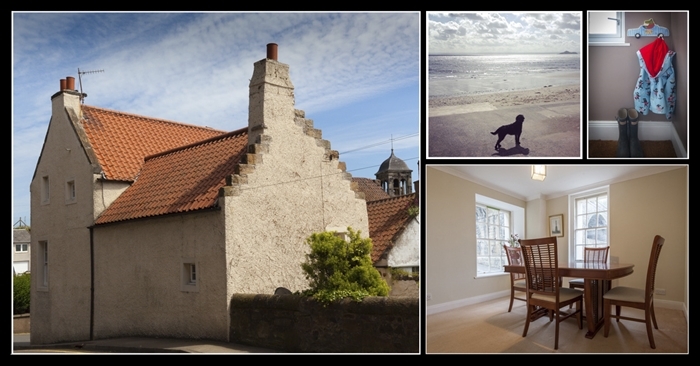 Located in Kinghorn on the Fife coast, The Nethergate offers accommodation for up to 5 adults. Newly renovated as a purpose-built holiday let, the B-listed building (circa 1750) has lots of quirky features, such as deeply inset windows and thick stone walls. Situated less than a minute from a beautiful, quiet sandy beach with stunning views south to Edinburgh, it's ideal for trips into Edinburgh, as a base for a golfing holiday, or simply as a place to relax and unwind. Despite its age, we've worked hard to make the house cosy and warm, with full gas central heating and modern insulation, so you won't be shivering. The house is set over two levels, and laid out in an L-shape. On the lower level, there is a modern fitted kitchen with modern appliances (including dishwasher and washing machine). There's a large family bathroom, a large, bright and spacious lounge and a separate dining room. On the upper level there are two bedrooms - one with a double and one setup as a twin with a pull out third single bed - and a modern toilet and shower room. 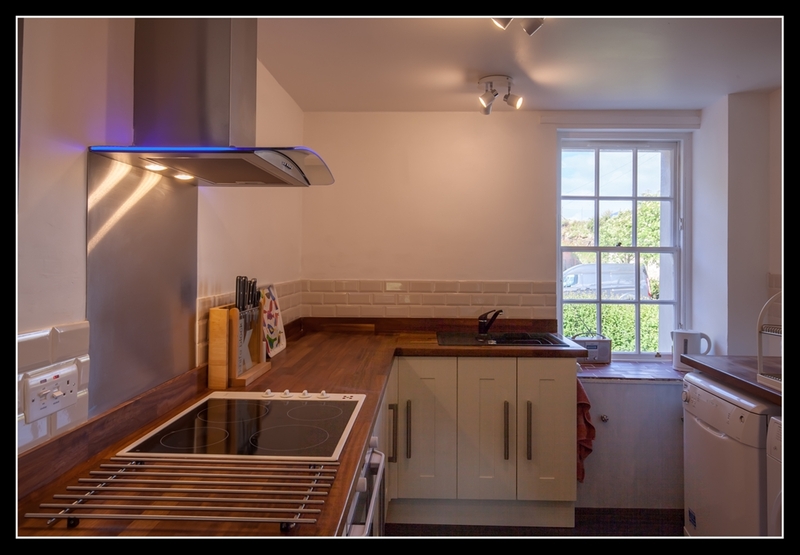 The property also has full central heating, wifi broadband, private parking for two cars and a small garden with table and chairs. The spacious, south facing lounge at The Nethergate A view of the property from outside; the building is L-shaped, and we offer accommodation on two levels. Note that we've since cut the ivy down, as i A modern kitchen with hob/oven, fridge/freezer, dishwasher, washing machine and microwave. We're also only a minute's walk from this beautiful, quiet and clean beach. We also welcome well-behaved dogs (subject to some basic house rules of course). Dogs are also welcome on the beaches nearby.